Pancreatic cancer is a lethal disease, largely because it goes undetected until it is too late. My grandfather lost his battle with the disease a few years back and ever since we have participated in an annual 5k to raise funds for research and to bring awareness to the cause. It was at that time that my wife shared with me that she had lost a grandmother to the same disease. Pancreatic cancer only has a 5 year survivability rate of 7%. As a result, it is very difficult to hear that a loved one has been diagnosed with the disease. My grandfather fought an admirable fight. He was a natural fighter. He survived one of the deadliest battles of WWII. He later survived lung cancer for over 20 years. He was given a diagnosis of a two to three months, but he battled for 9 long months before his passing. It was not easy to go through but it clearly united our family as we took turns caring for him in his home. We know walk in his honor and the honor of other family members that have fought and lost their battles to pancreatic cancer. Last year I had the pleasure of meeting Coach Grady during my son’s little league tryouts. The man was loud and full of energy, cheering on every kid that tried out that day. At first I thought he knew all of them but that wasn’t the case at all. He simply had a love for baseball and making these kids better. He even bragged about how it didn’t matter who he drafted because he would work with them and make them into the best by the end of the season. My son didn’t get drafted by him, but we would see him plenty enough during the season since our division only had five teams. Just as the season was about to begin news broke that Coach Grady had been diagnosed with stage 4 pancreatic cancer. It hit me like a ton a bricks. I hardly knew the man, but I knew the fight he was up against and I didn’t like his odds. Part of me wondered if he would make it through the season. How would his team take it? I just couldn’t fathom it. Our first game happened to be against Coach Grady and his Tigers. We one-hit his team and dominated the game. Immediately following I reached out to him, told him he was in my prayers, and gave him my purple PanCan wristband. He accepted it and said he appreciated the prayers. All year long when we met I’d ask how it was going, how he was feeling. He would respond positively and thank me and my family for the prayers. By season’s end Coach Grady was still with us, thank God. And just like he boasted, his team took the championship. 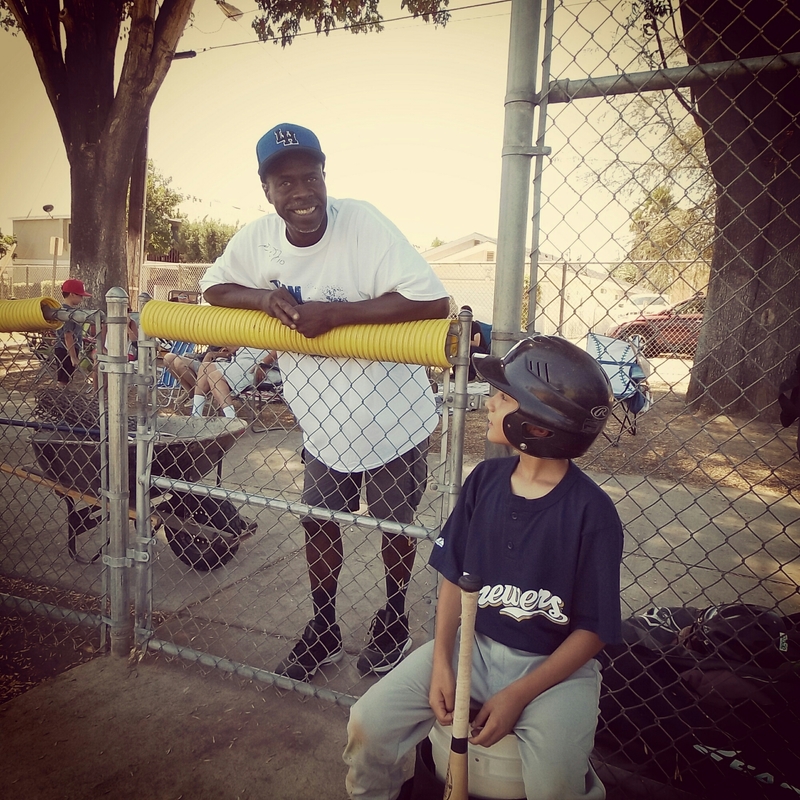 This fall Coach Grady joined us on our fall ball team. He has gone from stage 4 to cancer undetected! I couldn’t believe it, we had been praying for him all season long and then some. And here we are about to walk again for pancreatic cancer research, but this time we will be celebrating Coach Grady and his victory over pancreatic cancer. It feels good to see that others can be victorious even if my grandfather and others could not. We honor those that have passed and celebrate those that survive and we stand with those that are braving the fight right now! 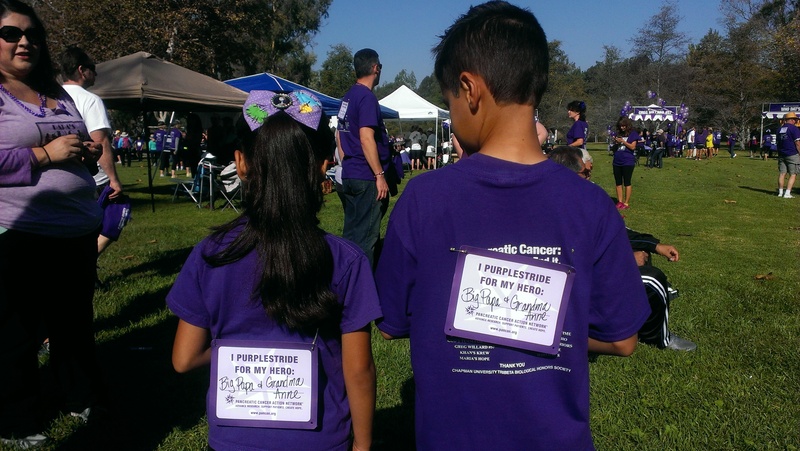 Thank you for walking for pancreatic cancer research. I just found out my Aunt has pancreatic cancer and it is heart wrenching. This is a beautiful story about your grandfather and volunteering for a good cause. Thanks for sharing. We’ll be praying for her as well. Make every day count.